Did you find a new Android phone among your holiday gifts? Well here’s another gift: Five of them, actually. These tips and apps will make that new Android phone even better. I don’t know how many people found an Android smartphone among their holiday gifts although I suspect it was more than a few. There’s no lack of good options available from Samsung, HTC, LG, Motorola and others. No matter what Android phone you might have unwrapped, however, there are a few easy things you can do to make the experience a great one. Find a keyboard that works the way you do. I actually like the stock Google keyboard that comes with Android, but everyone is different. Luckily, Android lets you install and use the keyboard — or keyboards, for that matter — you prefer. A quick search in the Google Play store will get you started but most people can’t go wrong with SwiftKey . This app uses smart word prediction combined with a way to intelligently learn your personal typing styles by analyzing messages from Facebook, Twitter (twtr), Gmail and more. Even if you don’t use that function, this is still one of the best third-party keyboards on the market. By the way: The stock Google Keyboard also supports swyping, or sliding your fingers from key to key, so don’t overlook that feature. Turbo-charge your camera. There’s nothing wrong with the camera apps that Google and its hardware partners provide. If you want to take your mobile photography to another level though, the free VSCO Cam app is a must-have . The software includes 10 presets for image manipulation while others are available for purchase. You might not need to spend a dime though: The basic imaging tools are top-notch and can vastly improve photos which can be shared directly to various social networking sites. Another tip: Find a place to store those photos in the cloud. Dropbox and Google+, to name a few, offer automatic photo backup services. Unleash a watch-dog on your mobile data. A number of apps are available to make sure you don’t go over your monthly mobile broadband limit, but don’t overlook the one that’s built right into Android. Hop into your phone’s Settings and look for the Data Usage app. 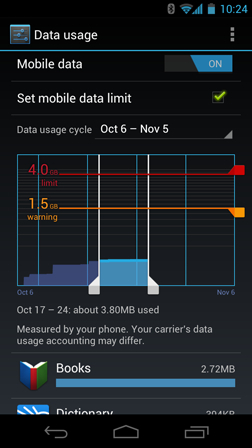 Here you can set a warning for a certain amount of mobile broadband use in your billing cycle, such as 1.5 GB if you have a 2 GB plan, for example. My phone, a Moto X, doesn’t let me set a warning but it does have the rest of the Data Usage functionality, showing me how much data each application uses. If your Android doesn’t have this function, consider the free Onavo Count app . And if you want to squeeze more bits from your data plan, the Onavo Extend companion app could help : It compresses data so you can get surf online more by using less data. Turn your phone into a personal assistant. 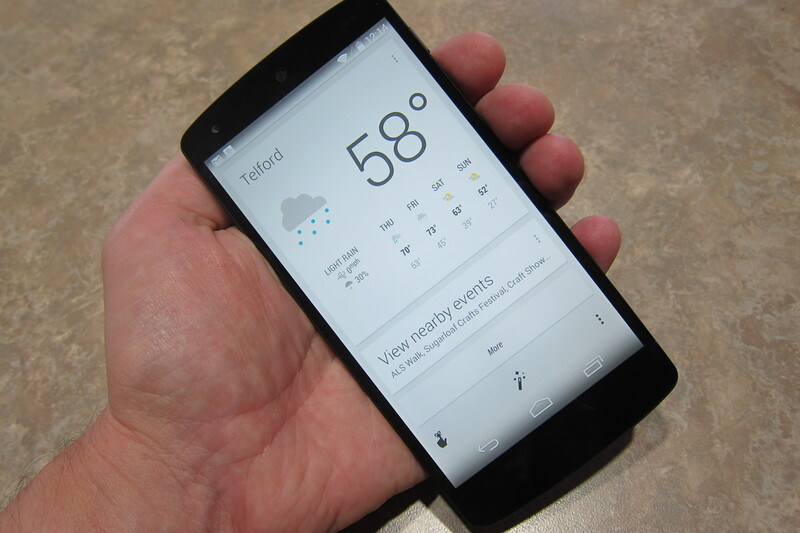 Built in to the latest version of Android is something called Google Now. To take advantage of it, you have to allow Google to access your personal information, such as your email, calendar and location. If you’re using an Android phone, chances are you’re already doing that already, so why not get something in return?